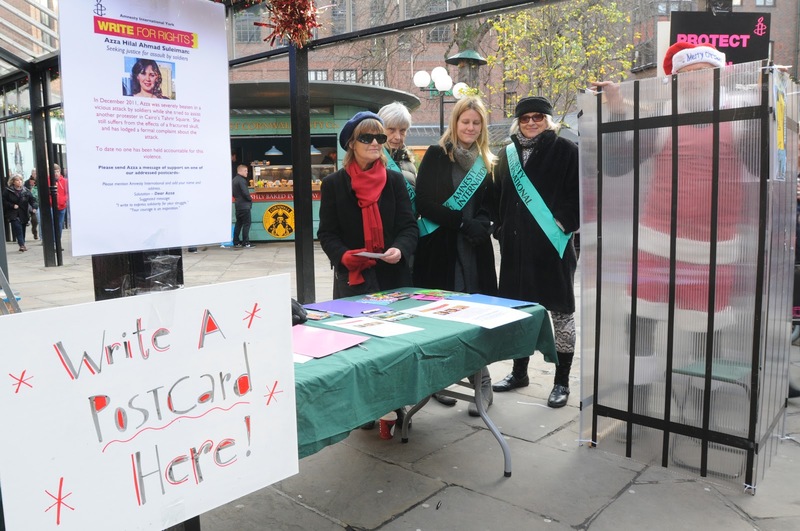 York Amnesty group took to the streets of York once more to entice Christmas shoppers to send greeting messages to human rights victims. 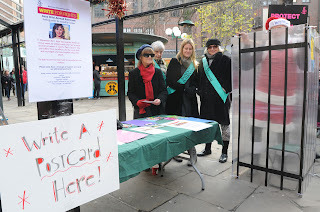 Members of the local group had a very successful day in Coppergate with stalls displaying a variety of postcards addressed to four different prisoners of conscience from across the globe. The idea behind sending the Christmas cards is firstly to show solidarity to individuals who need all the support they can get at a time when they find themselves in much hardship. The more cards sent to these individuals also let the governments and the prison guards housing them know that the world is watching. Many thanks to all those busy shoppers who took the time to sign cards.